Episode 17 is quickly becoming a favorite of mine. It’s about taking a leap of faith and starting your business. That's what Inspired Entrepreneur's motto is all about! The episode also dives into the life of a work at home mom – the good, the difficult and the downright blessedness of it all. Taking a leap of faith and starting a business isn’t always easy. But, as my guest this week, Julienne DesJardins, so eloquently stated, “I think the leap point has a little bit of magic in it.” Yes! Leaping is magical, amazing, and sometimes downright scary. 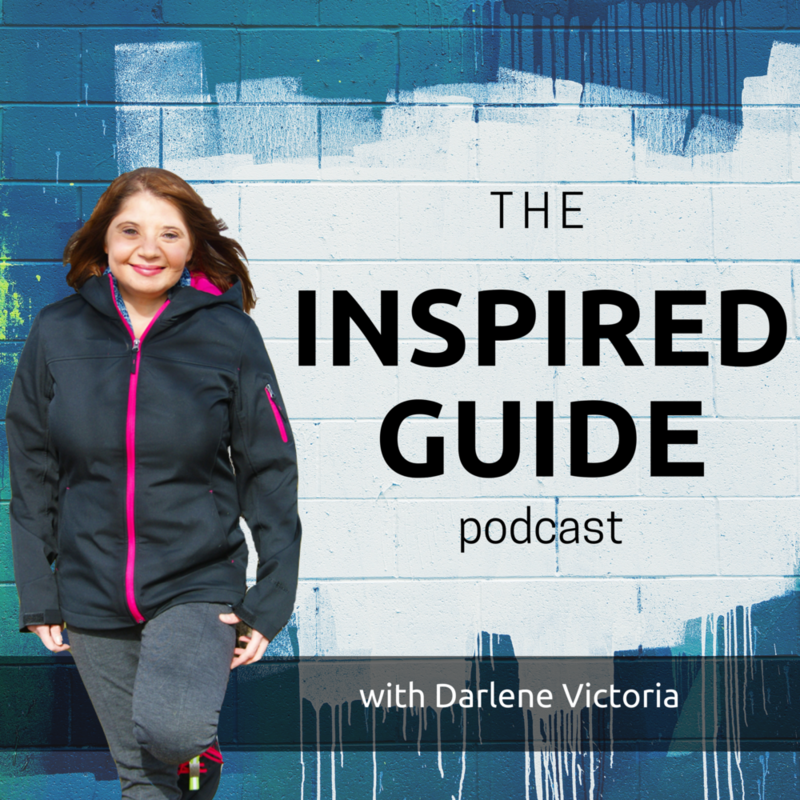 Joining me to discuss these topics is my guest; fellow Digital Marketing Virtual Assistant, Julienne DesJardins of Julienne DesJardins Digital Marketing. It’s time to stop dreaming and starting doing. Let's go! Preparing clients for extended period of time off (ie: maternity leave). One digital marketing tip you should put into place, today. 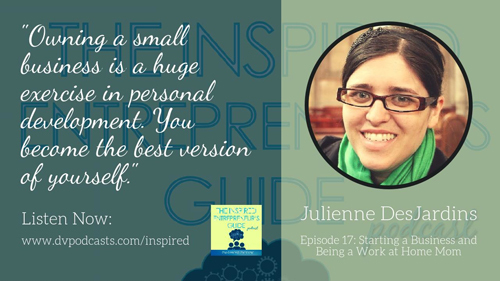 About Julienne: Julienne DesJardins works with solopreneurs who are ready for major growth in their businesses. She is a digital marketing virtual assistant who specializes in designing systems that make her clients' businesses run smoothly. She'll help you turn your attention away from the small details and back to the big picture. Visit her website or connect with her on Twitter and Instagram.